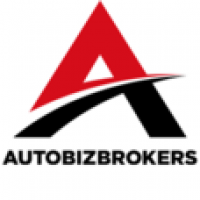 AutoBizBrokers is pleased to present this automotive property in Rockdale County, Georgia. The building is 4,321 square feet and was built in 1935. Later on they added the garage shed out back which was built in 2001. The lot itself is 0.79 acres and has 5 bays. The automotive expenditure in this area is $642,407 and the average household income is $43,645 all within a 5 minute radius. This property has a daily car count of 14,700 and has easy access to Hwy 20 east. Don't miss your chance, call today at 770-885-0000!